Operating an 18-wheeler is an incredibly demanding job. If you’ve ever taken a long road trip, you’d probably agree that driving for hours on end can be exhausting. When fatigue sets in, truckers have a duty to exercise reasonable care by pulling over and resting. Unfortunately, some truck drivers stay on the road despite feeling drowsy to boost their income, speed up deliveries, or make up for lost time. 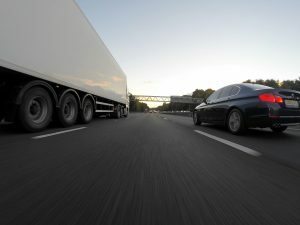 To deter this sort of negligent behavior, the Federal Motor Carrier Safety Administration (FMCSA) implemented Hours of Service (HOS) regulations. These rules limit the amount of time truckers can spend on the road before stopping to rest. Unfortunately, just because HOS regulations exist does not mean everyone follows them. 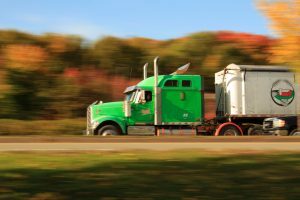 If you were hurt in a crash with a drowsy trucker, you may have grounds for a personal injury claim. Attorney Scott Charnas will evaluate the circumstances of your collision for free and help you make informed decisions regarding your case. Call 212-980-6800 to schedule a consultation with a truck accident attorney in New York City. The HOS regulations can be found on the FMCSA website. In general, truckers hauling property cannot drive for more than 11 hours after spending 10 consecutive hours off duty. Commercial drivers transporting passengers, on the other hand, have a 10-hour driving limit after spending eight consecutive hours off duty. Who Must Follow the Hours of Service Regulations? Are transporting hazardous materials in a quantity that requires placards. Much of this evidence can be difficult to gather—especially if the trucker or motor carrier refuses to cooperate. You may need to file subpoenas to obtain it. This is where an experienced personal injury attorney can help.